You have probably heard a lot about the hassle of car repair and dealing with auto body repair shops after you have been in an auto accident. 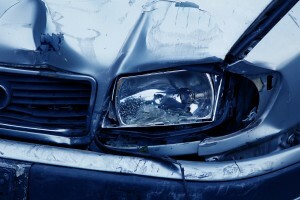 At Liberty Collision, we are here to help you identify what are auto body repair myths. MYTH: You can only go to the auto body repair shop suggested by your auto insurance company. Insurance companies will likely suggest an auto body repair shop for you to take your car after an accident; however, you do not have to go to the auto body repair shop they suggest. Don’t believe this auto body repair myth! 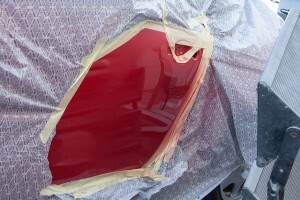 MYTH: DIY Paintless Dent Repair is Easy. Paintless dent repair can be costly if you have many dents to repair, so some people purchase a paintless dent repair kit and attempt to repair dents on their own. While a paintless dent repair kit may be worth your investment if you are constantly denting your car, properly executing a paintless dent repair requires more than a kit. At Liberty Collision, our qualified technicians can assess the damage and properly fix your car using paintless dent repair tools. We can also clear up scratches and dings that may be on your car from daily use. MYTH: Only a car dealer can repair a car back to its premium condition. Some people repeat the auto body repair myth that the only way to get a car back to its original condition before an auto accident is by taking the vehicle back to the certified dealer. While auto dealers can repair cars after auto accidents, they are not your only option to restore your car back to its former glory. Liberty Collision can provide the proper vehicle care to raise the value of your car back up to how it ran and looked before the accident. MYTH: Auto body repair shops invent issues with your car to fool you into paying more. Auto body repair myth: busted! We have all heard those horror stories of customers, especially women, coming into an auto body repair shop alone. The horror story continues as the auto body repair shop employee spits out as many technical terms to confuse her and conclude with a ridiculous price because the employee knows the customer does not have extensive knowledge about cars. At Liberty Collision, our technicians can walk you through the steps of what is needed to repair your car and why it matters. There is no smoke and mirrors act to try to take your money. We care about cars and the people who drive them, so you don’t need to fear this dreaded auto body repair myth. MYTH: Auto body repair mechanics cannot assess a fault that will cause problems in the future. You may just be stopping by to fix your bumper. Our trained technicians at Liberty Collision will not only repair your vehicle, but we can also make sure your car is running properly. If we spot a problem while we are repairing your car, we will let you know so you can take preventative measures. At Liberty Collision, we want to make sure your car is running safely and efficiently. If your car requires attention beyond our scope of expertise, we can direct you to other technicians and centers who can address the problem. At Liberty Collision, we focus on quality work and great customer service. With more than 25 years collision repair and restoration experience, the technical team at Liberty Collision can make your vehicle run and look as if it has not been in an accident. From towing to fender bender and windshield repair, the staff at Liberty Collision works on any make or model of vehicle in Reno. Let us take care of your auto repair needs without any fear of the auto body repair myths!